BUSINESSES in nearly every industry were caught off guard by the Great Recession. Few leaders in business — or government, for that matter — seem to have even considered the possibility that an economic downturn of this magnitude could happen. What was wrong with their thinking? These decision-makers may have been betrayed by a flaw that has been documented in hundreds of studies: overconfidence. Most of us think that we are “better than average” in most things. We are also “miscalibrated,” meaning that our sense of the probability of events doesn’t line up with reality. When we say we are sure about a certain fact, for example, we may well be right only half the time. In that paper, three financial economists — Itzhak Ben-David of Ohio State University and John R. Graham and Campbell R. Harvey of Duke — found that chief financial officers of major American corporations are not very good at forecasting the future. The authors’ investigation used a quarterly survey of C.F.O.’s that Duke has been running since 2001. Among other things, the C.F.O.’s were asked about their expectations for the return of the Standard & Poor’s 500-stock index for the next year — both their best guess and their 80 percent confidence limit. This means that in the example above, there would be a 10 percent chance that the return would be higher than the upper bound, and a 10 percent chance that it would be less than the lower one. It turns out that C.F.O.’s, as a group, display terrible calibration. The actual market return over the next year fell between their 80 percent confidence limits only a third of the time, so these executives weren’t particularly good at forecasting the stock market. In fact, their predictions were negatively correlated with actual returns. For example, in the survey conducted on Feb. 26, 2009, the C.F.O.’s made their most pessimistic predictions, expecting a market return of just 2.0 percent, with a lower bound of minus 10.2 percent. In fact, the market soared 42.6 percent over the next year. Two lessons emerge from these papers. First, we shouldn’t expect that the competition to become a top manager will weed out overconfidence. In fact, the competition may tend to select overconfident people. One route to the corner office is to combine overconfidence with luck, which can be hard to distinguish from skill. C.E.O.’s who make it to the top this way will often stumble when their luck runs out. For more on Richard H. Thaler, see the post archive. The key for investors: Liberty Capital stock trades at a 58% discount to the value of all the assets that back it. The stock recently sold for $48 [now $45], but the collection of assets it represents add up to $82 after debt, according to Robert Routh a media analyst with Wedge Partners. What does a share of LCAPA represent? As a tracking stock, Liberty Capital represents the value of the stock holdings of its parent Liberty Media in Sirius XM Radio, Time Warner Cable (TWC), Time Warner (TWX), Sprint Nextel (S), Viacom (VIA), Motorola (MOT), AOL (AOL), Live Nation Entertainment (LYV), and CenturyLink (CTL). All of this plus a few other stocks and the value of some media assets recently added up to $107 per share for Liberty Capital, calculates Routh, who regularly makes some great calls on media stocks. Subtract around $25 in debt, and you get an enterprise value of around $82 for Liberty Capital. That’s the tracking stock that sells for just $48. First of all, a lot of mutual funds cannot own tracking stocks, which reduces demand for the Liberty Capital tracker. Second, Liberty Capital is saddled with a “complexity discount” — meaning the situation is so confusing many investors just avoid it. Plus, there’s no guarantee the discount will ever go away. And eventually, Liberty Capital should be converted from a tracking stock to a regular asset-backed common stock, which would help the complexity discount go away. Malone should get the ball rolling on this front when he converts another stock tracking assets in the Liberty Media parent company. That tracker is Liberty Media Interactive (LINTA) which represents the Liberty Media’s home-shopping channel QVC and a stake in Home Shopping Network. The conversion should happen around the end of this year or in the first quarter of 2011. That alone might wake other investors to the potential in Liberty Capital because it’s on the same track, and put a bid underneath the stock. A third Liberty Media tracker will also be converted at some point, or Liberty Starz Group (LSTZA) which represents Liberty Media’s Starz Encore pay TV channel. Another catalyst might be the sale of the Atlanta Braves by the end of 2011. Rachesky, 49, spent six years working for Icahn, including serving as a senior investment officer and chief investment advisor for his last three years at Icahn Holding Corporation. He left Icahn in 1996 and opened his own New York-based firm, MHR Fund Management, for which he still serves as president. He first took a 5.9% stake in Lionsgate in August 2005, but he boosted his ownership to 14.1% as of last July and has rapidly increased the size of his position over the past two months—at the same time Icahn enhanced his own stake—after Lionsgate reported its disastrous third-quarter earnings. Up until last week, Rachesky’s investment in Lionsgate was passive, meaning he didn’t seek to influence the company’s operations. But now he’s an active investor in the studio. The $11.4M holding in HAWK represents around 0.8% of Rachesky’s $1.4B fund. FURX, spun off from PPDI on 6/14/10, is a $10 stock with net cash (cash minus all liabilities) of $10 per share. It earns royalties on two drugs already in the market with potential milestone payments of $14.40 per share. It has three other programs in its R&D pipeline. According to some Street estimates, the value of Furiex’s royalties & pipeline is $30-$36 per share. The entire float has traded since the spin-off, and selling pressure may soon begin to recede. As part of the spin-off, 18% of the equity is set aside for management. In addition, the Chairman owns 6% of the outstanding shares. Spin-Off Background: On June 14, 2010, Pharmaceutical Products Development Inc. (PPDI), a Contract Research Organization, spun off its drug discovery business to shareholders in a tax free transaction. The main motivation behind the spin-off was to separate a cash flow generating, service business (PPDI) from a cash utilizing, biotech division (FURX). PPDI has 118 mm shares and for every 12 shares of PPDI, shareholders got one share of FURX. FURX has a market cap of $100 mm, tiny when compared to PPDI’s $2.9 billion equity cap. Hence, the spun-off stock is not likely to have much appeal for PPDI shareholders who are mainly interested in the CRO business or those can’t own a small-cap stock. Sure enough, FURX began trading in the high teens on June 1 and has dropped to $10 on no new news. Value Proposition: I was browsing through some old analysts’ reports written when PPDI announced the spinoff to see what they thought of the development business (now Furiex). In a report dated 10/29/2009, Barclays had assigned a value of $1 per PPDI share to Priligy and $1 per PPDI share to Alogliptin + Dermatology portfolio. This translates $236 mm since PPDI has 118 mm shares out. Add to this, net cash of $94 mm injected into the spin off and it adds up to $33 per FURX share. Thomas Weisel, in a report dated 10/27/2009, valued Spinco at $2.50-$3.00 per PPDI share or $30-$36 per FURX share. See the post at Oozing Alpha. Trian has been whittling down its stake in Kraft since last year, when Kraft made a hostile bid for Cadbury. Kraft later acquired Cadbury for roughly $19 billion in February. Warren Buffett, Kraft’s largest shareholder, was not a big fan of the deal. In 2007, Peltz pushed for changes at Kraft when he first reported owning a large stake in the world’s No. 2 food company. He eventually won two seats on its board. Kraft reported Aug. 5 second-quarter profit rose 13% to $937 million as it reaped the benefit of Cadbury and overhead costs savings. The profit topped the consensus analysts’ estimate. But Kraft softened its sales outlook, citing higher Cadbury inventories and aggressive discounting at U.S. food retailers. Kraft shares closed Friday at $29.50. Shares are up more than 8% for 2010. I’ve always enjoyed reading about the stock market and started studying in earnest in 2007 right before the whole financial world crashed. I sold a few positions at a loss (a mistake) but managed to pick up some great names at bargain prices. 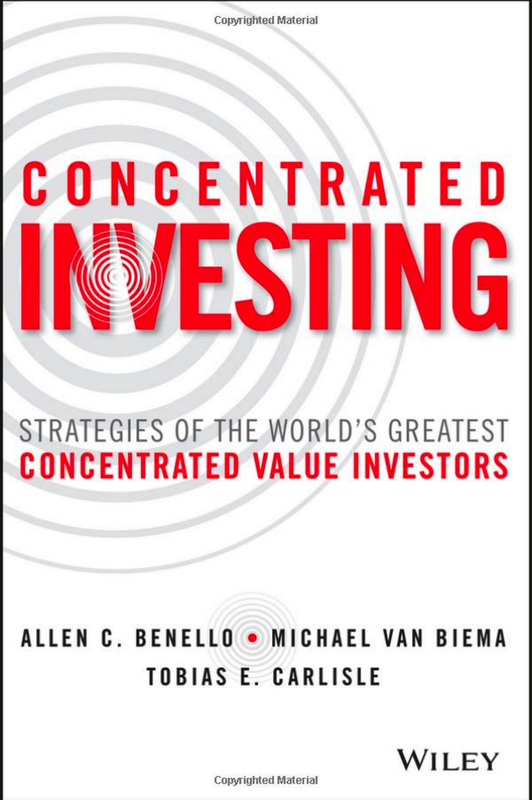 Over the past two years, I’ve started to study the principles of value investing and special situations, molding my philosophy after famous investors like Warren Buffett and Benjamin Graham. AMCON Distributing Company (DIT) is just the type of business upon which many value investors focus: a micro-cap stock in a boring industry that the market has largely ignored. With a market cap of only $33M, AMCON is incredibly producing almost $1B in sales, an outstanding number for such a small company. DIT has been around since 1986, and is currently the 8th largest convenience store distributor in the United States. The company currently operates 4,200 retail outlets, consisting of grocery stores, liquor stores, tobacco shops, and convenience stores across the Central and Rocky Mountain region of the country, selling over 14,000 different products. The company’s products would be familiar to any normal citizen who has spent time in a corner store – cigarettes, tobacco products, candy, groceries, paper products, and frozen foods, among others. Stores are serviced by 5 large distribution hubs totaling approx. 487,000 square feet, and are stocked by major suppliers including Phillip Morris, RJ Reynolds, and Proctor & Gamble. The second business segment consists of retail health food stores operating under the name Chamberlin’s Market & Café and Akin’s Natural Foods Market. These stores focus on high-quality, organic, & specialty foods. Both store brands have been around since 1935, with 13 stores between them. Overall, AMCON has exposure to two completely different segments of the market – low-end, commodity type distribution and high-end organic food purchases. While distribution still makes up for the vast majority of revenues, the retail health food concept is sweeping across the country and could provide a future engine for company growth (just witness the explosion of organic food advertisements and sustainable food awareness campaigns over the past few years). The company has enjoyed record financial performance over the past two years under the leadership of its Chairman & CEO – Christopher H. Atayan. AMCON is a remarkable turnaround story. AMCON’s industry is highly competitive and low margin business. Gross margins have averaged 7.3% over the past 10 years, with little variance. Net margins are very tight, averaging 0.2%, although the trend has been increasing. Breaking down the business segments, margins on the retail side are much better, with gross margins in the 42% range compared to 6.1% on the wholesale side. Despite the wide range of products, the company is heavily dependent on the sale of cigarettes. In 2009, approx. 71% of company revenue came from sales of these products, although only 27% of gross profits. Sales growth has been steady, but slow, at approx. 3% per year. The company has been able to raise revenue due to price increases, new store openings, and strategic acquisitions. AMCON is the type of business that turns over a ton of inventory (almost 25x per year). Combine this fact with a low margin business, and the company must fund most of their operations through debt financing – there is little cash on the balance sheet. Management has taken steps to improve the financial health of the business. Long-term debt has shrunk from $58.2m in 2005 to 27.7M last year. At the same time, shareholder equity has increased from $-0.2M to $23.8M. Interest coverage has increased to 9.5, putting the company on much better financial footing. The company sold off non-essential businesses and turned two consecutive record years in 2008 and 2009. Insiders own 44.1% of outstanding shares, including 37.5% by the CEO and Chairman, Christopher Atayan. Mr. Atayan bought out the company’s original founder, William Wright, purchasing over 200k shares last year. The company re-instituted a cash dividend in 2008, and has more than doubled the quarterly payment to $0.18 during one of the toughest economic times in recent memory. Last year, AMCON’s board also announced a share repurchase program for up to 50,000 shares, or 9% of outstanding. Although the company has worked to diversify its business, it still relies heavily on the distribution of cigarettes. Cigarette sale and distribution is a highly regulated affair, and overall use has declined due to social stigma and education on the health risks of smoking. In June 2009, the FDA was granted even greater powers for regulating the sale and distribution of cigarettes. The agency almost immediately banned the sale of certain flavored cigarettes, and then substantially increased the federal excise tax on cigarette sales. Increased prices put continued pressure on sales – to date, AMCON has been able to pass along the higher prices to its customers but it remains a big risk for the company. The company is part of a very competitive industry, and the low profit margins do not leave much room for error. An inventory miscalculation or fuel price increase could severely impact the business. AMCON currently depends on a $55M credit agreement with Bank of America. Average borrowings for last year were $31.2M – the company obviously depends on this line of credit. The current agreement matures in June 2011, and the outcome of that negotiation will have a substantial impact to the business. On the retail side, the company’s retail stores face intense competition not only from stand alone health stores, but also major grocery chains who are trying to capitalize on the health movement as well. DIT is a micro-cap stock, with a market cap of approx. $34M. The stock is also very illiquid and suffers from a tiny float. 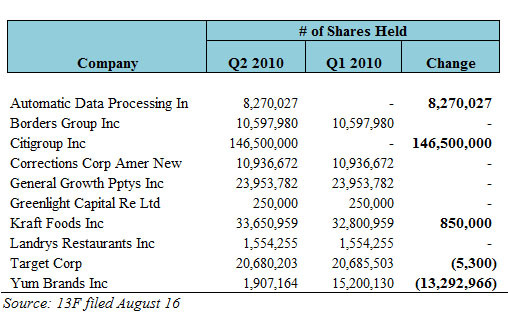 The company only has 577k share outstanding – with the high levels of insider ownership, float is only 350k. According to Lowfloat.com, DIT is actually one of the top 3 lowest float stocks trading on any of the major exchanges. Average 3 month volume is only 1000 shares so picking up large blocks of shares is difficult. Many institutions will pass on the stock because of these challenges, allowing individual investors to benefit. The stock touched a low of $14 back in November 2008, before shooting upwards to $78 in December 2009 – not a bad return for one year. Current P/E ratio sits at 4.8 – higher than 2008 (2.4) but lower than 2006/2007 (6.2), the first two years of the turnaround. DIT’s 2010 EPS should come in around $15-17 – applying a normal P/E of 6 to these EPS numbers results in a share price of $90-$102. Through the first three quarters of the company’s fiscal year, revenues, operating income, and FCF are all higher than 2009, setting the company up for another record year. With this type of conviction – not only his professional livelihood and reputation, but putting his family’s stake behind the words as well – I have no doubt that Atayan is committed to making the company succeed. Based on recent performance, he is off to a good start. Yet speculation is rife given the activist investor’s history with energy companies and his reputation for focusing on companies that he believes are undervalued and ripe for a shake-up in some way — with a restructuring or a sale among the possibilities. One company that may have attracted his interest is one he already knows: Anadarko Petroleum. Shares of Anadarko, a Texas-based Independent oil company, tumbled in the spring after the explosion and spill at a BP-operated well in the Gulf of Mexico. Anadarko owns a 25 percent stake in the well. Mr. Icahn goes back several years with Anadarko. In 2005, Mr. Icahn and a fellow activist investor, Jana Partners, accumulated a 7 percent stake in Kerr-McGee, an Oklahoma-based energy exploration and production company. The Icahn group demanded the company sell off certain units and commence a big stock buyback. Kerr-McGee did, and then sold itself to Anadarko for $16.4 billion, representing a rich premium of 40 percent. Mr. Icahn built his stake in the combined company, and by the beginning of 2008 he had 14.8 million Anadarko shares worth around $971 million. “Investors who bought Kerr McGee stock on the same date I invested and profited from the acquisition by Anadarko realized an approximate 234 percent return,” Mr. Icahn wrote on his blog, the Icahn Report, in 2008. He rode Anadarko up to its high price of around $80 a share in May of 2008 as oil prices headed to $147 a barrel. But Mr. Icahn appeared to be focusing more of his attention and money on his campaign against Yahoo. Oil prices slid to under $35 a barrel as the financial crisis took hold. Mr. Icahn began selling off his stake and was completely out of Anadarko by May 2009. How accurate is the Shiller PE as a forecasting tool? What backtested returns does the current PE forecast? 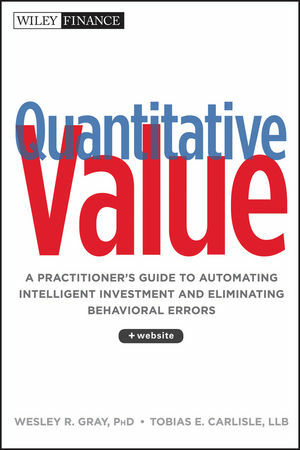 What is the best forum for value investors?